Dubai is a dream destination for travellers and tourists around the world. After all, you rarely find the perfect combination of culture and opulence at any place. While Dubai has some amazing places to see and interesting things to do, the other Emirates of UAE are also worth seeing. Be it Abu Dhabi, Sharjah, Al Ain or Ras Al Khaimah, each of the seven emirate gives you the chance to have a tremendous holiday. But before you take off to Dubai or UAE, you need to get a visa. Of course, there are a few countries that do not need visa and a few that can get visa on arrival. The rest have to apply for one before a few weeks before they plan to travel. To apply for a UAE or Dubai visa, you need to submit an application form along with several important documents as well as the visa fee. Everything should be checked in detail as even a small mistake can cause rejection. Be it your application form or the other documents, make sure all of them are error free. This also includes your photo. Utmost importance should be taken when you provide your photo while applying for your UAE or Dubai visa. Right from the Dubai visa photo size to clarity of the photo, everything should be perfect. While a photo may seem trivial to you, several people have got their visa application rejected because of submitting incorrect or improper photograph. 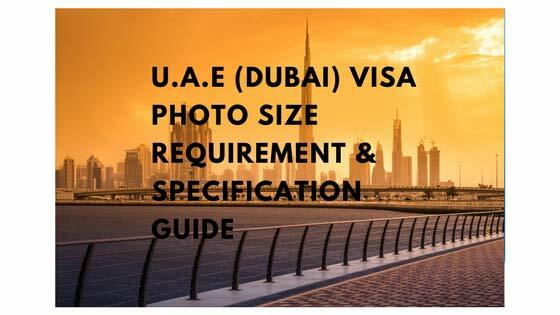 Hence, it is extremely important to know UAE or Dubai visa photo size requirements correctly before submission. 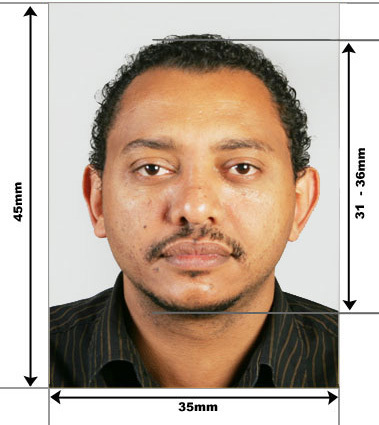 U.A.E (Dubai) Visa photo size in Pixels 300 Pixel in Width and 369 Pixel in Height. Dubai photo size in inches should be 2 inch x 2 inch, i.e. 45 mm x 35 mm. When it comes to Dubai photo size in pixels, is should be 300 pixel in width and 369 pixel in height. The photo should be in color. Black and white photo would be rejected. Make sure that the photo has even tone quality and a clear image. It is not advisable to retouch or enhance the photo in any way. The background has to be white and your clothes should be darker. Avoid wearing white short or clothes for your visa photograph. Do not go for dark, patterned or busy backgrounds. There should be no shadow either on the face or on the background. Your head should face the camera directly. It should not be tilted or turned, even slightly. Both edges of the face should be seen clearly. The head should be in the centre of the frame while the face should cover 60-70% of the photo. The image should clearly show clearly show the face, right from the crown of the hid to the tip of the chin. Your hair, face, ears, neck and shoulder should be seen properly. Make sure that your eyes are open and clearly visible. It is better to avoid wearing glasses while taking the photograph. In case you wear one, you have to ensure that the glasses are not tinted or dark ones. Also, there should be no glare on the glasses. The frames should not cover the eyes. Your face should have a natural expression. Improper colour balance should be avoided as this can cause rejection of the visa application. The photo should show natural skin tone of the person. It should not be too dark or too light. Colour and brightness should be adjusted so that your face and the background can be seen correctly. Unique facial features should not be obscured due to improper colour and contrast. Unbalanced colour due to fluorescent or other such lighting can cast a colour or shadow on the photo and should be avoided at all means. High resolution photography and printing is mandatory when it comes to photo for Dubai visa. You can go for both traditional or digital photography and printing methods. Make sure that the photo is clear and has a sharp focus. The quality of the photo print should be good. It is best to get the photos printed at a studio as it is difficult to get a high quality photo when printed at home (unless you have the necessary equipment). You should not have any hear gear or covering unless it is for religious or medical reasons. For instance, do not wear a cap or a hat while taking the picture. Entire photo (from top of the head to bottom of the chin) should be visible clearly. Head covering is accepted in case of Muslim ladies, Muslim Maulans and Sikh men. In case of Muslim ladies, only the head should be covered and not the face. Photos where only the eye is shown would not be accepted. In case of using head gears or head coverings due to medical reason, valid medical documents should be submitted during the time of visa application. Some leniency can be shown when it comes to UAE or Dubai visa photo for children. Here are some things that you need to keep in mind. For infants (including newborn babies), the child should be alone. No toys, people or chair backs should be visible. The child should look at the camera and the expression should be neutral. Make sure that the mouth remains closed. The ear, chin and forehead of the baby should be completely visible. The eyes of the baby should be open. There should be no kohl marks anywhere on the face. When it comes to children under 10 years, rules regarding things like position of the face, expression, eyes and line of sight can be waived a bit. While the above points are extremely important, they can be confusing or overwhelming. 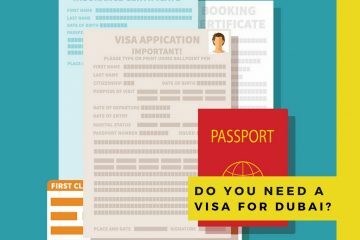 To make it easier for you, we list the most crucial things you need to remember about Dubai visa photo size requirements. The photo should have the front view of your face. Everything from your hair and forehead to your chin should be visible. The face should be on the centre of the photo. Both ears should be seen clearly. You should no laugh, grin, frown or have raised eyebrows. In short, keep a neutral expression. Photo should be coloured and not black and white. Computer print photo should not be submitted. Your eyes should not be covered by hair. If using spectacles, make sure they do not hide your eyes. Do not sign the photograph. You should not edit the photograph in any way. Damaged photos (marked, creased or torn) would not be accepted. It is extremely important to follow the Dubai visa photo size requirements 2018 while submitting your visa application. The accuracy of your visa photo would ensure whether you would get a visa to travel to Dubai. So, if you really want to visit this incredible city, do follow these rules and submit the right photograph that would help to open the doors to this Arab land.